"I May Not Be the Best, But I Am Not Like The Rest"
Scenario : You have to track all those tasks which if delayed by 3 days (you can change the Total Slack value say 5 days) would fall on the ciritcal tasks path. So, these could be termed as the near critical tasks which need to be monitored closely along with the Critical path in the project to adhere to the commited timelines. Total Slack is defined as : The amount of time a task’s finish could be delayed without delaying the Project’s finish date. Critical Tasks by default have 0 Total Slack. Let’s create a view for these second level critical tasks, it could be done even directly in Gantt View itself, yet let’s create a view. •Displays the true Critical Path in the project using red Gantt bars for all tasks that have 0 days of Total Slack. •Displays the “nearly Critical” Path for the tasks that have Total Slack less than 3 days. •Highlight these tasks using in the table by background formatting. 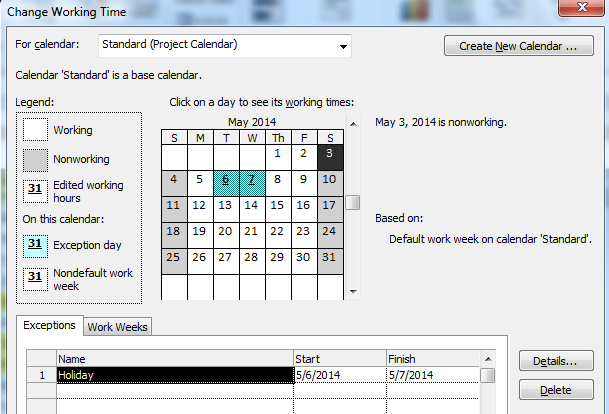 •Display bars in the Gantt chart for these tasks in different color. Create a Table named “Second level critical path.” You can either copy the current Entry table or create a new as needed. 4. Select – Highlight Filter checkbox. All ground work done for the view, once you apply this view you can see that all tasks with Total Slack less than 3 (but more than 0 to exclude critical tasks). Now when you apply this all near critical tasks get highlighted in the view. 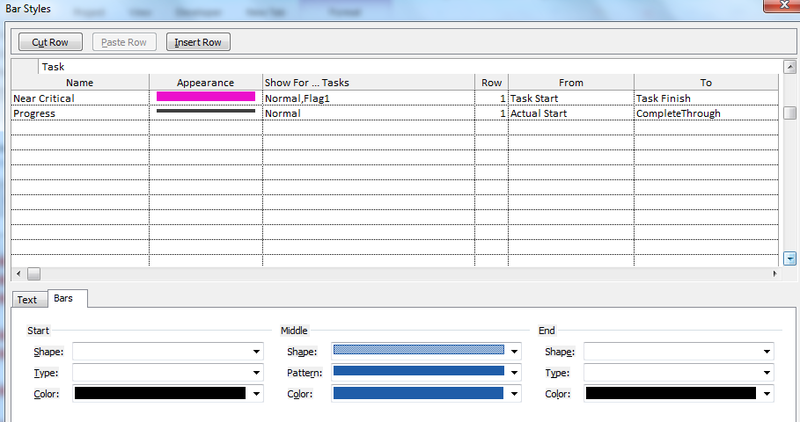 Now we need to format the Gantt chart to display these tasks in different colored bars. Copied Total Slack into Number1 by using formula, then created Flag1 with formula as – IIf(([Number1]<3 And [Number1]0),1,0). You can chose color from the below secction of the bars tab. Now here comes an overall view where in the table we see tasks which have Total Slack less than 3days and can become critical if delayed beyond 3 days. In chart we can view Critical tasks, regular tasks and near critical tasks which if delayed beyond 3 days will fall on Critical path. Scenario : I want to run a report to show that since the Start Date of the project how many working days would have elapsed until the finish date of a task. This is instrumental in projects with tight deadline wherein we try to assess that how many working days would fall before we really finish the tasks. 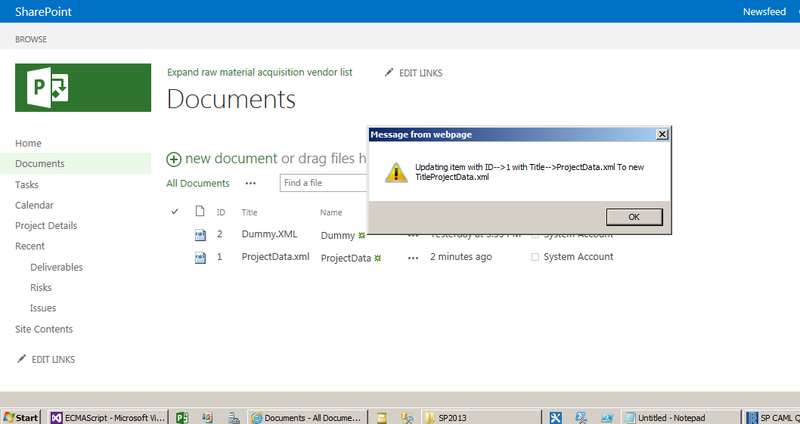 Create a text type task custom field and add the formula – ProjDateDiff([Project Start],[Finish])/480. This will give the exact working days from Project start date that goes into finish the task. NOTE : In-case your work hours/day are different than Standard Calendar and you are using different project calendar, please add Calendar name as 3rd parameter in the formula within bracket and [Minutes per day] to divide instead of 480. Project Start Date – 5/5 I have added 5/6-5/7 as the holiday. Refer to the task ID – 3 which starts on 5/5 (which is also project start date) and ends on 5/8 ( which shows that calculation has considered 5/5 and 5/8 as the working days count for calculations). Highlighted are the tasks where the difference could easily be assessed. Scenario : You want to assess the peak units (assignments) of various resources month-wise to better do the capacity planning, you can open your resource usage view – in that add Peak Units in the timephased area by right clicking and seleting it from list of the fields and then zoom in the timephased view to reach to month-wise details and here you have the peak unit assignments done on the resources month-wise. An excellent way to assess the current resource allocation to ensure that resourcing is done effectively.